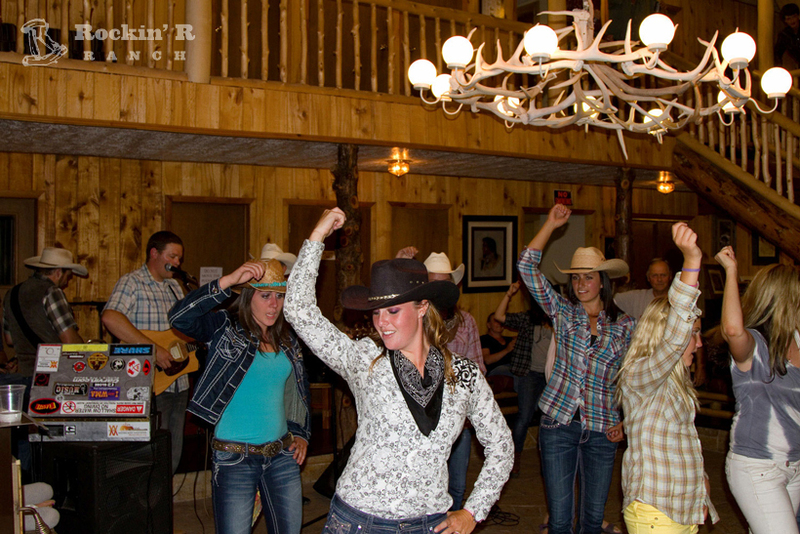 The Rockin’ R Ranch is the perfect setting for your youth conference. For over 30 years we’ve provided a great time for youth conferences like yours. 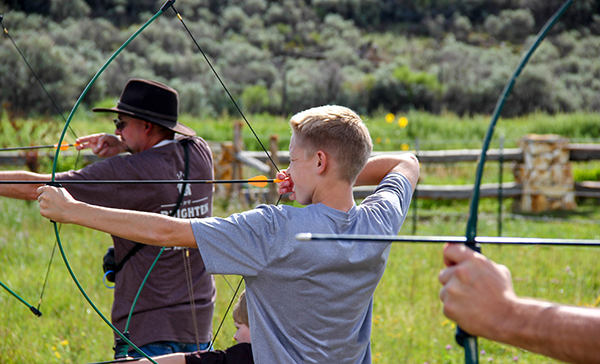 We’ve put together a fun program that includes lodging, meals, and a lot of activities. For those who are more interested in visiting friends than riding a horse or tubing down the river, you’ll find many areas in and around our lodge where you can comfortably sit and renew old acquaintances or make new ones. If you like to fish, Otter Creek Lake is only 4 miles away. There are other fishing streams not far from the Ranch (if needed, you can purchase a “day” license at minimal cost nearby). In the evenings, we’ll provide entertainment. Or, if you prefer, you can provide your own. If you’d like to have your own program, devotional, or fireside, we will work our activity schedule around your own youth conference activities to make an itinerary—just for your group—that will ensure a memorable time for all. Before participating in any of our activities, members of your group will be required to sign “releases of liability” which is standard for our type of business. 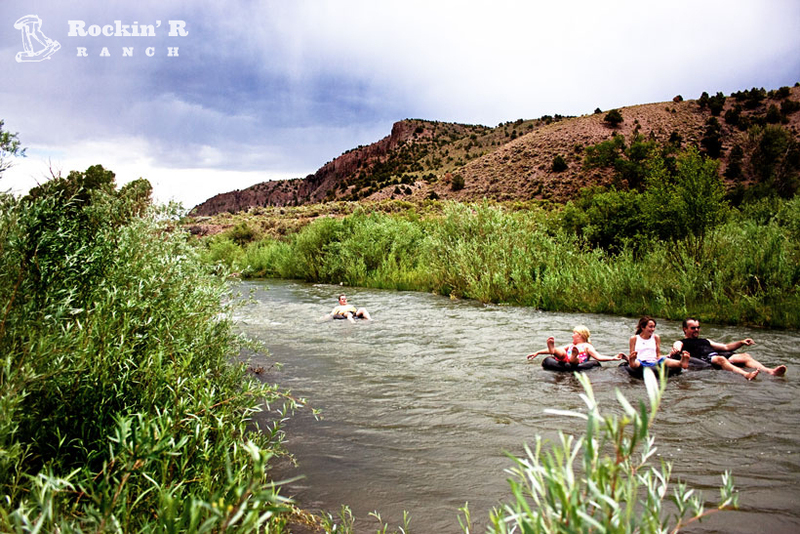 * The tubing and hiking activities are a few miles from the Ranch. Guests need to provide their own transportation to and from these venues. We’ve created a great opportunity for you to make your Youth Conference even better. Our South Ranch Cliffs area is set amidst the calm and alluring south fork of the Sevier River and against majestic cliffs. Spend an afternoon of your stay with us enjoying new activities for your group. 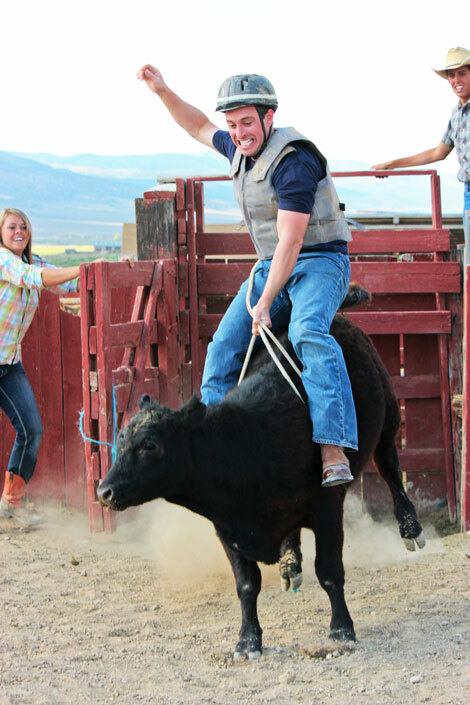 You’ll enjoy competing in our Tomahawk-throwing contest and learning how to use a Bullwhip to pop balloons. Play a game of Horseshoes or Fish in the nearby river (we’ve got some fishing equipment, but you may also want to bring your own). You may enjoy making Native American Crafts. And for those age 12 and older, there’s even more adventure—Rock Climbing and Rappelling! Climb up our natural river cliffs to the most breathtaking views in the valley, or you can rappel over 200 feet onto the banks of the Sevier River. Cap off your enjoyable afternoon with a delicious Dutch-oven meal cooked over the campfire. This is definitely an experience you won’t want to miss! For groups staying at least three nights, we can add this on to your youth group package at a minimal cost, depending upon the size of your group. (Not available to add on with two-night stays.) When making your reservation, be sure to ask for a rate specifically tailored to your group. June through August: Add $5.00 per person per night for Thursday, Friday and Saturday nights. For groups of less than 25, but more than 10, add $10 a day for ages 5 and above. All meals and above listed amenities (except for South Ranch activities) are included in the price. Group rates are based on average of 4 people per room (although some rooms sleep more than 4 people and some sleep less). There is no maid service for group rates and participants must bring their own towels. Payment: A one-third deposit is due at the time of reservation. The entire balance is due 60 days prior to arrival. The preferred method of payment is by check. If payment is made by credit card (Visa or Mastercard only), there will be an additional 4% fee. Cancellations: $500 is non-refundable. Up to 90 days prior to arrival, 50 percent of the remaining deposit will be refunded. Deposit is non-refundable after that. Full payment is due 60 days prior to arrival. After that, there are no refunds. There are no refunds for early departures or “no shows”.